Combining Facebook and Instagram can be a powerful business scaling tool. Not only does it allow you to identify and target your ideal customers and leverage your content engagement to boost sales, but by combining these platforms into your marketing strategy you can lower cost per conversion rates as well. 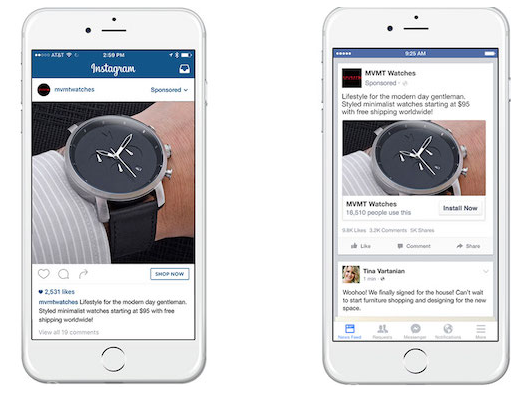 According to Facebook case studies, MVMT Watches saw a 20% lower cost per conversion and UGO Wallet had a 45% better cost per installation, by running ads across Facebook and Instagram. Another brand, Saturday Morning Pancakes, revealed to Brilliant Business Mom podcast that by using Facebook and Instagram ads, she was able to go from $500-1,000 a month to $1 million in a year. The trick to getting these types of results with these mega platforms is to leverage your ads in different ways, depending on your desired result and what stage of the conversion funnel the potential shopper is at. In this post we will show you how to leverage Facebook and Instagram to scale a 7-figure business in 3 steps – from building your accounts to building your campaign funnel strategy. Probably the slowest and most frustrating step for eCommerce entrepreneurs is boosting the initial growth of their brand’s social platform. After all, you need a starting number, a winning formula, to scale up from. Building your social platforms and organic reach is the foundation, which you need before you can leverage Facebook and Instagram to scale a 7-figure business. Having a good flow of follower growth, engagement, and organic reach is vitally important to ensuring you are able to build brand trust through your social accounts, which in turn will help boost brand awareness, and in turn sales. How? It gives your brand ‘social proof’ – an impression of what your brand represents, how people relate to it, what you’re selling and the feedback from your product sales. Think about it this way. Let’s say you have a great ad running on Facebook, talking about how you’ve been selling great products for 10 years. But before clicking through to your product landing page, the user checks out your Facebook page, only to find you have less than 1,000 followers who only engage with posts to complain. What kind of impression does it give the potential shopper? Not a very good one. There are two main ways you can hustle in order to scale up your ‘social proof’: using micro-influencers and building human connections. Building your influencer reach by reaching out and engaging with influencers is slow-growing, but it also can do wonders for building your overall social brand awareness. After the initial sweat and tears, as your brand and list of influencers grow, your collaborations will start to happen organically over time, as you build your brand awareness and grow your eCommerce brand. Now, when it comes to influencer marketing, bigger is not always better. Micro-influencers are those Facebook pages and Instagram accounts that have around 2,000 to 25,000 followers, who are more likely to engage back with their followers and keep it real. Plus, in our experience, the bigger the influencer follower base, the lower engagement percentage is in relation to the number of followers. Add this to the fact that micro-influencers will cost you less and be easier to connect with while being a lot more niche-segmented, you’re sure to get better ROIs in these smaller segments. If you’re trying influencer marketing, check out our Beginner’s Guide to Instagram Influencer Marketing for Online Store Owners to get a jump start. If you’re taking the ‘all I need is to shove Facebook ads down my potential shoppers’ throats without engaging with them’ approach, you’re missing the mark. The thing is, you need real fans who regularly engage with your content, and in turn to scale that up, you should be engaging back. You know, talk back to them like human to human; keep it real. Why? Because this creates your brand’s strong social presence, AKA social proof, which helps to build trust, reach, and brand popularity, all of which ultimately drive sales. What gives 7-figure businesses a one-up on huge eCommerce brands is their unique opportunity to connect with their shoppers and potential customers, engaging with them to form real human relationships. This not only gives you valuable insights into your shoppers beyond the data that you can use to scale up business through product launches and highly-segmented marketing campaigns, but builds a long-term customer base. So how can you be more ‘human’? Where relevant, you should be replying to followers’ comments, questions, posts and messages. Facebook and Instagram are ‘social’ media after all: people expect – and value – a brand that socializes with them. And you don’t need your eCommerce brand to do it. 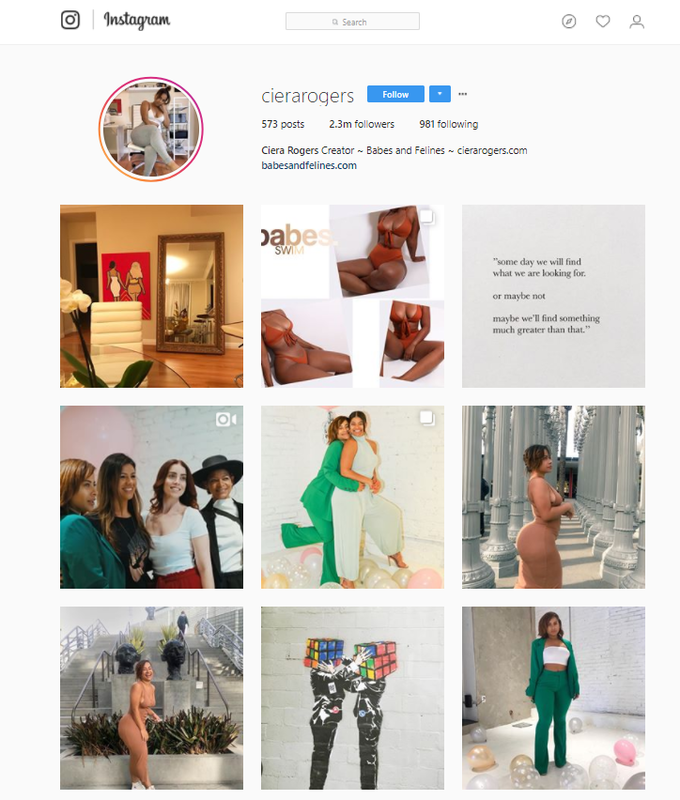 Just look at one of our top merchants, owner of the successful Babes and Felines, Ciera Rogers, who was able to leverage her personal Instagram brand to build her $700K business. The thing is, as we grow our business and sales increase, it’s easy to forget these pump-priming fundamental basics. However, if you lay the foundation from the beginning and then scale up your activity (increasing team members, budgets and scope), you will be ensuring you retain your customers long-term while continuously building relationships with potential shoppers, which makes them more inclined to buy from you. We know from numerous case studies that online coupons can grow sales. In fact, in one such case study we did, an online store was able to increase their sales by $40k in just ten days. However, by using those coupon pop-ups on your site to additionally grow followers on Instagram and Facebook, you will be doing so at no extra cost. And as your traffic grows, so will your followers, thus enabling your social accounts to scale up along with your business, with minimal effort on your part. Take one of our top merchants, Angelus, for example; they were able to grow their Facebook and Instagram followers by 6,000 after only one month of adding social share elements to their web pop-up. After scaling the social pump, building your branding and social foundations, it’s time to scale your business by leveraging Facebook and Instagram ads. What you want to do is test a variety of campaigns to find the winning formula for your brand, niche and target market before you scale up your efforts. A perfect Facebook and Instagram scalable marketing strategy includes campaigns aimed at potential customers within each of your conversion funnels: brand awareness and audience building, first time conversions, and last, but by no means least, remarketing conversions. Let’s look at each of these separately. These campaigns have one objective: staying relevant to your potential shoppers while building brand awareness. If you think you don’t need these ads once your sales increase, unfortunately you’re wrong. Here’s the thing: Google analytics lie. The only way to really understand how social media brand awareness campaigns influence your organic traffic is by turning off all your Facebook and Instagram ads simultaneously. You’ll be surprised at how many of your ‘Google organic search’ and ‘direct traffic’ sales are actually a direct result of how much money you’re putting into Facebook and Instagram ads. But then, who wants to do that! It makes perfect sense when you think of shoppers’ behavior: so many of us see sponsored ads on Facebook, without engaging at the time, only to search for the brand through our browser later on. Or that most of us prefer to buy from a brand we think we can trust, and trust is built on awareness. What does this mean in terms of creating a scalable Facebook and Instagram strategy? It means creating high-performing campaigns that meet their secondary objective (building your audience either through web searches, follower growth or email signups), so that you can push them to the conversion stage. The point is, just because the ad is not generating an immediate sale, that’s not to say it isn’t increasing your chances of a sale further down your funnel. Don’t forget to add campaign exclusions so that you are only spending awareness campaign budget on brand new potential shoppers – saving you from overspending and ad fatigue. You can find out more about this expert strategy in our 7 Quick Expert Facebook Ad Targeting Strategies Used by the Pros post. The next must-have campaign in your scalable social PPC arsenal is of course your top funnel conversion stage. Since we started interviewing leading eCommerce entrepreneurs to find out the secrets to their eCommerce success, we have found that all of them run Facebook and Instagram ads. That’s 100% of our 7/8-figure online businesses who budget for the conversion stage with both Facebook and Instagram ads. Although their Facebook and Instagram ad budgets differ substantially, ranging from $1,000 to $60,000 per month, we have found that they all have one thing in common: each of them has tested a variety of ads until they found the ones with the highest ROIs, which they then scaled up accordingly. We also found that the vast majority of them, even those doing $3.5 million in revenue, don’t use fancy PPC agencies to run their campaigns for them; it’s all trial and error. In other words, they test, test, test! Additionally, their strategies all vary depending on what ROIs mean to them, i.e., it isn’t just about an instant cash sale. Let’s say you’re running an ad that doesn’t result in an immediate sale, but drives traffic to your store that results in abandoned carts and you just happen to have an awesome conversion rate on abandoned cart campaigns. Alternatively, you run remarketing campaigns to cart abandoners specifically (including those abandoners resulting from the conversion campaigns), that have an above-average conversion rate. Then you would consider the aforementioned campaign successful, no? It’s important to find the winning formula for what works for your brand, your budget and your objectives. Once you have done that, you can then scale your Facebook ads correctly to ensure conversion growth. The reality is that sometimes people need that extra push before they make their first purchase with you, and building a scalable Facebook and Instagram conversion campaign strategy is imperative when growing your online business. To do this, you want to ensure you are creating highly segmented conversion campaigns, meaning you create different ads for different sets of potential shoppers, based on how recently they browsed your store, what pages they browsed and how they engaged with your pages. This is where Facebook’s Dynamic Product ads can be super effective for building your remarketing strategy. So, what does a perfect remarketing conversion ad strategy for Facebook and Instagram look like? Let’s say a shopper visits your store and puts a product in their cart; two days later, they should see a Dynamic Product ad for that same product, perhaps with an enticing discount. A week after that, if they haven’t bought yet, they may see a more generic remarketing ad in their Facebook or Instagram newsfeed that reminds them of your brand. With exclusions, you can run these ads almost automatically, keeping an eye on your ROIs and tweaking copy, segments and/or discounts as needed. The final step is to accelerate your growth with email marketing. This may seem off-topic, but that couldn’t be further from the truth when you take a step back to look at the bigger picture. As I have said so many times before, Facebook or Instagram ads shouldn’t exist in a vacuum; instead, your marketing channels should work together to scale your 7-figure business. As we mentioned above, brand awareness is an integral part of leveraging Facebook and Instagram. Whether you’re running email sign-up ads or, more likely, using awareness to drive traffic to your online store where you then email capture, the result is lots of juicy email addresses to market to. Because the more traffic you drive, if you’re using email capture pop-ups, the more email data you’re collecting, and you are therefore able to email market to these potential shoppers who know your brand through your Facebook and Instagram ads. That’s why it is important not to look at email as a separate entity, but instead to think of it as adding fuel to the fire of social conversions and ensuring you can fully take advantage of all the time and money you’re putting into your campaigns. By creating highly segmented email marketing campaigns, you can boost sales while staying front and center in the minds of all those potential shoppers. There you have it – how to leverage Facebook and Instagram to scale a 7-figure business, from growing your organic reach to using remarketing campaigns to automatically boost sales. Have questions? Post them in the comments below – I’d love to hear from you!